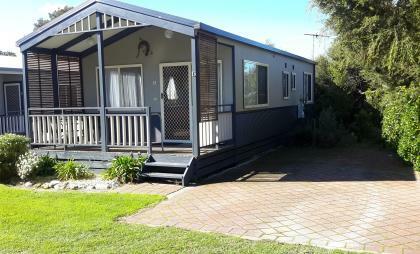 A stunning Caravan Park offering a variety of Accomodation styles,lush green lawn sites for Caravaners and those Camping. 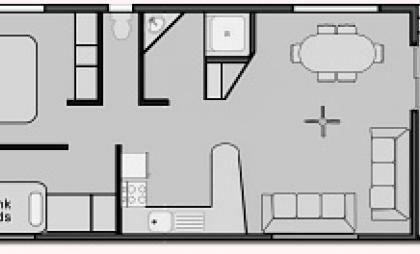 We are pet friendly (except Easter and Christmas period 24 December to 8 January approx the office can advise) We do have allocated Pet Friendly cabins. Pets must be advised on booking.Conditions do apply. We have been a Multiple Award Winner of 'Excellence in Tourism Awards' presented by Limestone Coast Tourism. 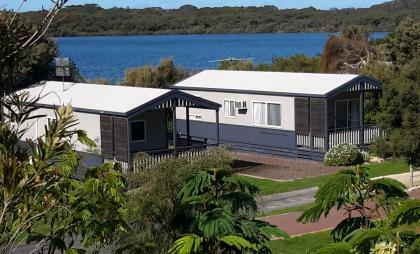 Beautifully situated and sheltered from the sea breezes, Robe's Lakeside Tourist Park in South Australia is nestled amongst trees on the shores of picturesque Lake Fellmongery. 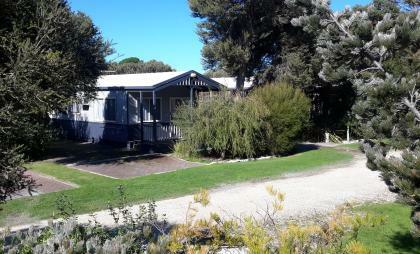 This pretty caravan park has heritage history, is a lovely quiet spot for a holiday, and offers varied accommodation, shelter, shade, spacious green grassy sites and friendly service. Lakeside Robe offers the perfect respite from a hectic lifestyle.